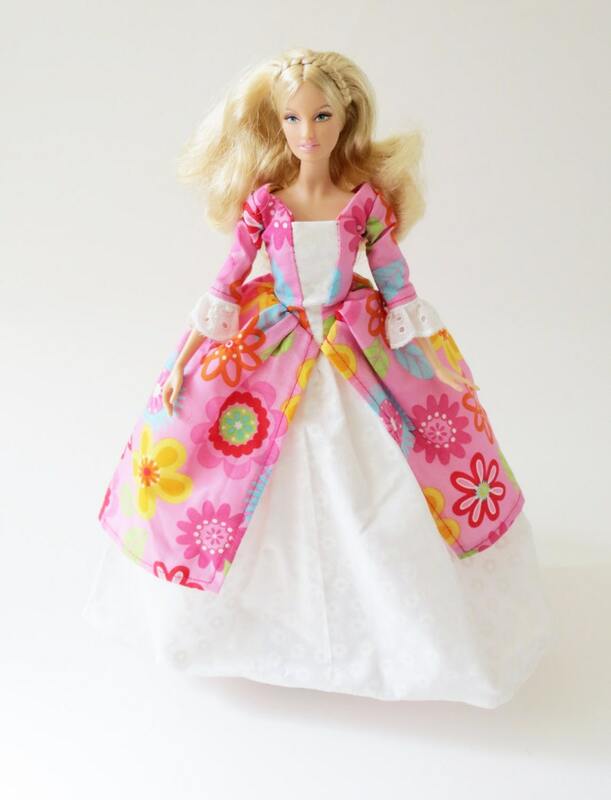 This Barbie dress set comes with a pink overskirt with colorful flowers and underskirt made for 11 1/2" dolls, like Barbie dolls, and have velcro closures. - A pink overskirt covered with colorful flowers and white eyelet trim on the sleeve edges. - A white underskirt with white flowers lined with tulle.